On Wednesday, December 17th The Belize Tourism Board (BTB) issued a press release stating that yet another acting Director of Marketing and Industry Relation had been appointed. Karen Pike, Director of Information Management, took over the position after the unexpected resignation of newly appointed Director of Marketing and Industry Relation, Clive Myers. One Monday, December 15th Myers was appointed to hold the position formerly held by Alyssa Carnegie after her resignation on Thursday, November 13th. I was a seventeen year old kid watching on a black and white television set when I first heard an American President talk of Cuba as an “imprisoned island.” For five and a half decades since, our policy toward Cuba has remained virtually frozen, and done little to promote a prosperous, democratic and stable Cuba. Not only has this policy failed to advance America’s goals, it has actually isolated the United States instead of isolating Cuba. Since 2009, President Obama has taken steps forward to change our relationship and improve the lives of the Cuban people by easing restrictions on remittances and family travel. With this new opening, the President has committed the United States to begin to chart an even more ambitious course forward. Police on Ambergris Caye have arrested and charged a Tourism Police (TP) after he was caught extorting a businessman in a planned operation. The operation took place on Friday around 11:40AM when TP John Arana returned to collect a sum of money he had allegedly demanded earlier from the proprietor of a bar establishment. The TP has been charged for extortion and faces interdiction. According to police, prior to the operation, they were informed by the owner of Mamacita’s Entertainment Bar located on Angel Coral Drive, San Pedro Town, that Arana had visited the establishment. Police say that Arana had knowledge of the bar owner having financial issues before the court over bills owed to a supermarket. According to police, Arana told the owner of Mamacita’s that he could prevent him from going to court if he paid him a total of $1,200. The owner gave Arana $200 on the first day with the understanding that TP Arana would return on Friday December 12th for the remaining $1,000. It was all about Santa on Wednesday, December 10th as San Pedro Preschool hosted their annual Christmas Party. Parents and invited guests were treated to Christmas inspired songs and skit presentations by the toddlers and teachers. At the end of the night, Santa made a guest appearance bringing gifts for all the boys and girls. A large crowd of Catholic faithful gathered inside and outside of the San Pedro Roman Catholic Church to pay homage to the Virgin of Our Lady Guadalupe. The event took place on December 11th as part of the celebration of the Mexican Saint considered the Virgin Saint of the Americas. The festivities included Novenas (prayers) and an all night dedication and serenade ending with a procession on the evening of December 12th. The celebration of the Virgin of Our Lady of Guadalupe is one of the largest celebrations in Latin America, especially in Mexico. It dates back to the story of her appearance before Saint Juan Diego, an indigenous Indian farmer, on the Tepeyac Mount in Mexico in 1531. To commemorate her sainthood and birthday, millions of Roman Catholic believers across the world planned several events. The Belize Tourism Board (BTB) is pleased to announce that Mr. Clive Myers has been appointed to act in the position of “Director, Marketing and Industry Relations”, as of Monday, December 15, 2014. Up until his appointment, Clive served as the BTB’s Destination Planning and Development Coordinator. During his tenure, he was instrumental in commissioning tourism strategies and economic impact studies for implementation as outlined in the National Sustainable Master Plan, as well as in the development and execution of the annual Village Arts Expo. Prior to that, he served as a Local Events and Press Officer at the BTB and as a Creative Arts Development Officer at the Institute of Creative Arts (ICA). According to Bloom Consulting Country Brand Ranking © 2014 Tourism Edition, this year Belize has remained on the 7th position in the region of Central America followed by its main rivals Nicaragua (8th) and Guyana (9th). 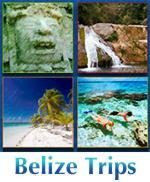 Belize ranks #30 in the Americas List. The research indicates that Belize is performing very modest in all the variables; however, the best results are related to the field of digital demand by having a rather high number of online searches in terms of tourism. Also the growth rates in international tourism receipts and arrivals show low rates because the country is not advertising itself enough online. Anyone familiar with diving in Belize knows the name Amigos del Mar, fondly known as simply ‘Amigos’. For over twenty five years Amigos have operated one of the premiere diving companies in Belize and as such have played an essential role in building the reputation of Ambergris Caye and Belize as a top dive destination. 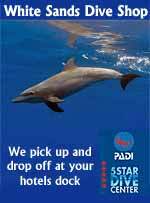 Amigos is well known for having the highest standards for safety and divers return year after year to dive with them. This has been good for resorts and for tourism. There is a saying ‘when the going gets tough, the tough get going’ and now it’s Amigos’ turn to get going. In May of this year there was an allegation of sexual assault made against Gerson Cordon, who was studying to be a Dive Master under the tutelage of independent Diving Instructor Marciano Mendez. The allegation involves a female student, who was undertaking a private course of instruction with Mr. Mendez. Neither student was a customer of Amigos del Mar, nor was Amigos del Mar receiving any money for their training. Mr. Mendez was paid directly. 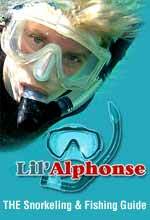 Many independent diving instructors use the Amigos dock and rent equipment from them. The allegation of sexual assault was, quite correctly, reported to the police and is currently going through the court process. Amigos del Mar would like to make it absolutely clear that they do not tolerate sexual harassment of any kind and would terminate any employee found guilty of such a crime. Grade Reports will be available online to students on Thursday, December 18, 2014. Prime Minister Barrow greeted President Molina of Guatemala at the airport earlier today. Belize will officially hand over Presidency of SICA to Guatemala at today's summit. With no protest from from ‪Belize, residents or Belize or Melchor merchants. The new SAT new tariff of Q160. per Belize registered vehicle for 72 hrs., has not slowed down the Belizean shoppers arriving early to do their Christmas shopping in Melchor, Guatemala. One critic from Benque‬ has commented "LOL." The Belmopan Tennis Club has reported to the Belmopan Police that on the morning of Tuesday 16th December 2014,it was discovered that the net on the Eastern Court at the Hilltop Tennis Courts complex had been cut down and removed by a person or persons unknown. This apparent act of vandalism can adversely impact the free classes being held at these courts for the constantly increasing number of school children being tutored in tennis-quite apart from the occasional tennis players who make use of these courts. Any information which can help in the recovery of this tennis net would be greatly appreciated and should be provided to the Belmopan Police. Today the Placencia Peninsula was the scene of the 44th Summit of central American Heads of State. But while the summit was the main event – an historic signing of 13 bi lateral agreements between Belize and Guatemala stole the show. The agreements have been in the works since the start of the year. They are designed to earnestly build on the idea of confidence building which started at the beginning of 2014. Now as the year end, and after intensive negotiations between both countries, 13 of them have been finalized: they cover Prisoner Exchange Visa Waiver for Students, Deportation, Transmission Interconnection And Grid Connectivity; Stolen Vehicles and many other areas. While the signatures on those 13 Bilateral Agreements are drying, the Opposition Party is expressing its concerns that the Barrow Government didn’t disclose it to the public before the decision was taken to commit Belize to them. Party Leader Francis Fonseca spoke to us at Independence Hall this evening in which he concedes that these agreements on the face of them, look like subject area Belizeans can support. He added, however, that because of Guatemala’s unfounded claim to Belizean territory, the Government needed to have asked for public buy-in on principle: Francis Fonseca - Leader of the Opposition "Over the past few months Belize and Guatemala has been engaged in discussions and negotiations surrounded these bilateral agreements. The People's United Party, through my representative Senator Lisa Shoman has been involved in the process of discussion and negotiating those agreements. And while the 13 bilateral agreements made the headlines in Belize and Guatemala tonight, really they were secondary to the 44th SICA Summit of Heads of State. As the pro-tem president of SICA, Belize hosted the Summitt and welcomed its visitors which included four presidents. From early this morning, 7News was at the Riversdale Airport which was made operational just for the event:… Jules Vasquez Reporting… President Otto Perez Molina touched down at 8:30 am – one hour fifteen minutes after scheduled arrival – yet still his Beechcraft 40 was the first of the four Presidential jets scheduled to land at the Riversdale Airport. Beechcraft 40 When he got off the jet, it was to the sound of applause from Belize Prime Minister Dean Barrow who warmly embraced his Guatemalan colleague. After 3 weeks, 85 participants from Beltraide’s Training and Employment Program graduated today. The main objective of the program is to make the trainees “employable” principally for the outsourcing industry but also for other career paths. At a ceremony held at the ITVET dining room to honor these graduates, 2 of them explained how the skills and experience they acquired from the program will enhance their chances at starting their careers. Lejia Melanie Gideon - General Manger, Entrepreneurship and Innovation Division "Those would be something we term soft skills. How to communicate properly with your coworker and supervisor. How to take constructive criticism, how to carry yourself, how to dress, how to brush your hair. How to manage your pay check, financing training. These are what we call the soft skills. The activist organization COLA was back on the streets today. Along with FECTAB they’ve been pressing Government of Belize to get more involved in the dispute between the Fort Street Tourism Village’s owners, Diamond International and Mike Feinstein. As we’ve told you, Feintein’s Stakebank project has the greenlight to become the cruise port of call for Belize City, but it cannot proceed because FSTV’s exclusivity rights. It’s a battle between private entities that has spilled into the public realm because the tendering procedure to get cruise tourists from the ships to Belize City. The Cruise companies will be phasing out that tendering process by 2016 because they are transitioning to oasis class ships which are massive, and not built for tendering. Earlier on, we showed you our interview with Mayor Darrell Bradley. He was speaking at an event held today by PUP and UDP mayors from all the municipalities countrywide. All 9 mayors signed onto a policy that Bradley designed after 8 months of consultation which will give staff of the diffident municipalities security of tenure. Much like the Public Service Regulations, this policy allows for these employees to be insulated from political manipulation. Mayor Bradley told us more about it today: Darrell Bradley - Mayor Belize City "Today what the 9 mayors of the 9 municipalities have done is sign municipal workers regulations. We have been working on this document for the last 8 months through a task force with a chair and we're been looking through various piece of legislation including the public service regulations, internationally treaties, we've looked at the labour act. What we wanted to do was create a set of objectives, policies and practices that bring uniformity to all municipal employment service in all of the municipalities. From the time a person is engaged to the time that they leave, there's one set of regulation that governs the terms and conditions of employment. And while we had the opportunity, we asked Godwin Hulse, who is also the Minister of Immigration, about a memorandum which we received. It details changes in visa requirements and is sent from the Acting Director of Immigration to port commanders, and immigration personnel. It waives visa requirements for several countries which has raised some concerns. We asked Hulse about it today, here’s how he responded: Hon. Godwin Hulse - Minister of Immigration "We've waived the requirements of visas from Japan. We've waived from South Korea, we're waived from Colombia, we've waived from Brazil and also from persons holding US permanent resident cards. The reason for that is very simple, we are pushing tourism. COPA wants to fly in from South America to Belize. They cover Brazil, Colombia, Uruguay and Argentina. And visas or border passes are not required by students coming over from Melchor into Belize. In October I went to the Benque Viejo border to learn all about the hundreds of Guatemalan primary and secondary school students who come to school in Belize every day. It was a fascinating study in casual cross border relationships between countries that have a territorial dispute. Today as Belize and Guatemala signed 13 historic bi-lateral agreements, the Prime Minister pointed to this daily student exchange as one of the signs that Belize and Guatemala have an unofficial good neighbour policy:… Hon. Dean Barrow - Prime Minister "One example of already established relations between our two peoples is in the area of education. On a daily basis over 800 Guatemalan children cross from Melchor into Benque Viejo Del Carmen to go to school here in Belize. We have been reporting on Christmas parties for kids, for HelpAge members, and for the public at large. So, why can’t the army celebrate during this season as well? The Belize Defense Force held its Annual Christmas luncheon today at the Price Barracks and about 400 soldiers were present. Brigadier General Jones says that the purpose of this event is to show gratitude for their service to Belize. This luncheon will also be held in Orange Walk and Cayo. Also interesting to note is that this is the first time 23 years that BDF personnel won’t be on city streets for Christmas patrols. Gary Seawell, another of the Seawell brothers that the US Government wants for narcotics trafficking, will remain in Belize, at least for the time being. He is on remand tonight, and though the Supreme Court has affirmed the committal order for his extradition, the judge has granted him the right to appeal. His attorney told us about the grounds for appeal today: Because of the stiff penalty for Continuing Criminal Enterprise is 20 years, Seawell’s attorneys believe that he will exhaust all legal avenues afforded to him to stop the authorities in Belize from extraditing him to the US. The Historic Release of 5 Cuban Prisoners by the U.S.
A report from The Amandala Newspaper went viral with information that Treaty Energy, a gas and oil company from New Orleans is facing fines in the United States for faking oil finds in Belize. The reports says that the ‘Securities and Exchange Commission charged that company and five of its executives with running a stock trading scheme through which they garnered US$3.5 million in illicit gains after they falsely announced a commercial oil find in Belize’. This ploy was done so as to scam people into buying stock in the company. For context, in January 2012, Treaty Energy announced that it struck ‘black gold’ near Independence, adjacent to the Port of Big Creek in Stan Creek claiming that it could drill up to 90 wells in the field, where the production potential was said to be 6 million barrels of oil. The concession given to Treaty Energy issued in 2007 was to operate under a joint venture agreement with Princess Petroleum to explore 1.8 million acres of offshore territory of Belize, east of the Belize Barrier Reef, and 200,000 acres onshore in the Toledo and Stann Creek Districts. Machete attacks seem to be on the rise in the Corozal District. In less than one week three people including a couple have lost their life as a result of chop wounds and the murder weapon used in both deadly attacks was a machete. Tonight there is another report involving the use of a machete coming out of Corozal Town. On Sunday December 14th, 20 year old Belizean Construction worker of Xiaibe Village, Jonathan Myvett and one Elsner Itzab of Corozal Town, were in front of Border Restaurant situated on Park Street South, having a conversation when an argument ensued between both men. Reports are that Itzab pulled out a machete from his bicycle and began flinging the machete at Myvette who sustained injuries on the left side of the neck, three fingers and head. Myvette was bleeding profusely and was rushed to the Corozal Community Hospital for medical attention. Yesterday we reported on a shooting between members of the Coast Guard Service and alleged beach combers in North Ambergris Caye that left one man dead. According to authorities, they responded to a shooting incident in the area of Bacalar Chico about 21 ½ miles North of San Pedro Town where they met Coast Guard personnel in the area. About 75 meters from the beach side in the bushes they saw a sawed off 12 gauge pump action shotgun and (6) 12 gauge cartridges. About 25 feet from the shotgun they found the body of 23-year-old Peter Castillo Jr. of Indian Ville Village, Punta Gorda Town lying face up with apparent gunshot wound to his body. Initial investigation revealed that at about 10:48a.m., a team of Coast Guard Personnel comprising of 6 persons were in the area conducting operation when they came across 3 male persons who were armed at the time. Orange Walk Police intercept vehicle in which four robbers attempted to flee after they hit a local grocery store. According to authorities, the men held up the proprietor of a grocery store in the San Lorenzo Housing Site Area at about 12:45 this afternoon. Reports indicate that the men held the proprietor at gun point and demanded money. At some point however the proprietor of the store managed to run out of the shop and his assailants helped themselves to an undisclosed amount of money from the cash drawer. They got into their escape vehicle and drove off. Quick police response however led to officers intercepting the vehicle. Police pursued the vehicle, a gold in color Mazda car, and the chase ended on Oak Street in the Louisiana Area, Orange Walk Town. All four men made a run for it on foot and escaped police. The vehicle was impounded and taken as evidence. Authorities are now looking for four male persons and say that they have a principal suspect. Investigations continue. A formal document outlining regulations and policies seeking to provide job security and a level playing field in all the municipalities around the country was unveiled this morning inside the auditorium at the Belize Elementary School in Belize City. The document is geared at laying out best practices as they relate to the management in various areas including human resources, hiring and firing, financial management and the smooth transition between changes in leadership on the local level. Minister of local government Godwin Hulse spoke to the media today on the importance of this document. GODWIN HULSE “A formal document outlining regulations and policies seeking to provide job security and a level playing field in all the municipalities around the country was unveiled this morning inside the auditorium at the Belize Elementary School in Belize City. Belize hosted the forty fourth Ordinary Summit of Heads of State and Government of the Central American Integration System (SICA) in Placencia today. Today also marked the end of Belize’s leadership role as the Pro-Tempore Presidency of SICA; Prime Minister Dean Barrow spoke for a few minutes to Guatemalan President, Otto Perez Molina, before giving his opening remarks. Barrow told the media that it was his duty to provide them with a status report. He reported that SICA is strong and that the organization’s efforts on all levels continue to bear good fruits. HON. DEAN BARROW “Over the past six months Belize presidency pro temporary set out on a path to build upon the good work of our predecessor the Dominican Republic and I take the opportunity to pause here and offer again our congratulations and thanks to President Medina of the Dominican Republic. Less than a hundred persons gathered in front of the Bliss Lighthouse early this morning waving banners and placards appealing to the decision makers in the tourism industry to intervene in the Stake Bank issue. Members of FECTAB and COLA were out in few numbers but their message and the urgency of it was clear. We spoke with President of Cola, Giovanni Brackett. GIOVANNI BRACKETT “The first thing is that the current situation at the Fort Street Tourism Village our local people are being sidelined and deprived. We have heard multiple complaints over the years, benefits for the local tour operators have decreased significantly. Now we hear they are building a port down south and according to their stakeholders that were here this morning are saying that they can’t ships for next season are being pushed now to go down south. After the meeting of the Heads of States of the Central American Integration System, SICA, Belize and Guatemala signed several bi-lateral agreements. The agreements encompass thirteen points that focus on numerous cooperative works including education and energy. The bi-lateral agreement was signed by Belize’s Foreign Minister, Wilfred Elrington and his Guatemalan counterpart, Carlos Raul Morales. Witnessing the signing was Prime Minister Dean Barrow, Guatemala’s President, Otto Perez Molina, and the Secretary General of the Organization of American States, Jose Miguel Insulza. Prime Minister Dean Barrow, shared a few comments. An Annual Christmas event for the First Battalion Belize Defense Force was held yesterday in the Toledo District. Paul Mahung has more. PAUL MAHUNG “A major Christmas event for soldiers of First Battalion Belize Defense Force was held yesterday in the Toledo district. During the event marking the annual Christmas luncheon for BDF soldiers on duty in the Toledo district keynote speaker was BDF commander Brigadier General David Jones.” DAVID JONES “Well normally once a year we try to give back to the soldiers to show appreciation for what they have done throughout the year by serving them food during our annual Christmas dinner. This is done throughout the country so all the bases we do the same thing. Traditional Christmas Posada activities began last night in Punta Gorda. Correspondent Paul Mahung has the details. PAUL MAHUNG “Activities in connection with traditional Posada began last night in Punta Gorda. One of the organizers of the event is Francisco Tush.” FRANCISCO TUSH “So the event started with a procession from Indianville. Members of the Catholic church started around 6:32AM en route to my home here in Punta Gorda. We welcomed our members who assisted in organizing this date night Posada. We started with a prayer, faith sharing, singing praise to God and we thank the all mighty lord for sending his beloved Jesus Christ. This ritual started from our past ancestors who are Catholic so we want to pass this from generation to generation so that this practice will not be damaged of destroyed. Lillette Barkley Waite held a one woman protest in front of the Karl Heusner Memorial Hospital. Waite, also known as Nzinga told Love News she is simply trying to access the medical records of a family member, Florley Palacio, who passed away earlier this year at the institution. FLORLEY PALACIO “My protest today is to acquire the complete medical records of Florrie Palacio who died in this hospital. I was told by the hospital that they don’t normally give the docket as they call it to people and I had to remind them that it is legally the family’s rights to get a copy of it. Unfortunately when I was in a meeting reviewing the so called docket it was incomplete. Her admittance in September through her death was not in the file at all and I requested a complete copy of her medical records and that is what I am here for. Earlier in the year, the Financial Intelligence Unit, got a court order freezing the assets of six companies and their directors, believed to be involved in a half a billion dollar money laundering scheme out of Canada. Among those companies was Unicorn International Securities and this morning Senior Counsel and attorney for the company, Michael Young was in court and he explained what happened in the court room of Justice Michelle Arana. MICHAEL YOUNG “Well this case arises out of the events which also gave rise to the freezing order which was issued by the court at the request of the FIU. This arose out of the invasion if I may put it that way by the team on behalf of the state which team sees the documents, equipment’s and assets of our client UNICORN and took them away and as I said that happened on the 9th of September. Last Tuesday, the international community observed International Anti-Corruption Day 2014. Belize was not a part of it because the Government has yet to sign onto the United Nations Anti-Corruption Convention. Last week the Vision Inspired by the People supported by several other third parties held a protest in Belmopan demanding that the Government sign unto the convention. Public Relations for the VIP, Robert Lopez, told Love News, that Belize law dictate that all elected officials fill out a form sharing all financial details. So we asked the PUP leader, Francis Fonseca, if he has done so and here is his answer. FRANCIS FONSECA “I’ve never missed a year from the day I was elected back in 2003 unlike almost every UDP representative including Mr. Barrow. The entire time we were in government because we passed the law establishing the integrity commission and passing the integrity in public life act. From the entire time we were in government whenever we passed the law, I think it was 1999 or so up until 2008, Mr. Barrow never ever filled his integrity report, never once during that entire time. On Monday Minister of Works and Transport Rene Montero and Chief Executive Officer Errol Gentle, signed contracts for several works. M&M Engineering Consultants Limited signed a contract for the new Mullins River Bridge which was destroyed by severe flash floods during the passage of Tropical Storm Arthur in 2008. The cost of the design and construction of the bridge is four million four hundred and sixty one thousand one hundred and seventy two dollars and thirty six cents. It should be completed within a year. The project will be supervised by BECA International Consultants Limited with the assistance of the Project Execution Unit. 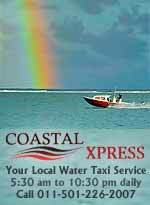 Funding for the project is provided by the Caribbean Development Bank and the Government of Belize. The Inspiration Center opened its doors to the public in March this year. The facility that aids children with special needs, today received two donations from the Minister of Foreign Affairs and the Taiwanese Government. Executive Director of the Center, Kendra Griffith spoke of the donations. KENDRA GRIFFITH “We’ve been open for services since April we launched in March and we opened in April so that is approximately 8 months we have been open and since that time the center has conducted 144 assessments of children with disabilities. The assessment phase is one of the first phases in getting treatment and we are currently actively seeing approximately 65 children and they are coming here for both speech and physical therapy and we have about 173 children that we are seeing because we also have our field offices in the Orange Walk district, in the Cayo district and in the Toledo district and in those field offices we do community based rehabilitation an so community based rehabilitation is what the children get when they don’t necessarily need to come to the center to see the physical therapist of the speech therapist here they can be treated by our rehabilitation field officers. Yesterday we reported on a fatal shooting in the area of Bacalar Chico about twenty one and a half miles north of San Pedro Town. He has been identified as 23-year-old Peter Castillo Junior of Indian Village in Punta Gorda. According to Police, about seventy five meters from the beach side in the bushes they saw Castillo’s body lying face up with apparent gunshot wound to his body. Beside him were a black knapsack and a black sweater. Coast Guard personnel reported that they were on patrol when they saw three armed men. The men were reportedly ordered to drop their weapons however one of the men raised his shotgun in the direction of the officers who responded by firing three shots in his direction fatally wounding Castillo. The Heads of State and Government of the member countries of the Central American Integration System (SICA) are gearing up to meet on Wednesday in southern Belize where a number of items will be discussed including immigration facilitation and security cooperation. The leaders are expected to coordinate their actions when it comes to risk-management and climate change, while evaluating the progress of the Alliance for Prosperity of the North Triangle following a report by the representatives of El Salvador, Honduras and Guatemala that was presented on November 14 in Washington with an aim to boost investment to reverse the fundamental problems facing the poorest countries affected by violence in the area, trying to stop mass migration to the United States. The Caribbean Court of Justice (CCJ) has reserved its final judgment for January 23, 2015 following three days of arguments on the nationalization of Belize Telemedia Limited on January 23, 2014. According to reports, the court has proposed to accept additional written submission on certain points by December 17 with three days allotted for the government to respond. The Belize Telemedia Limited was nationalized following the presentation of the ‘Bill to amend the Belize Telecommunications Act to allow for the public acquisition of Belize Telemedia. On 24 June 2011 the Court of Appeal issued a judgement, ruling that the re-nationalisation of BTL in August 2009 was unconstitutional. The 44th Summit of the SICA heads of State got underway on Wednesday December 17 in the village of Placencia. Foreign ministers of various Central American countries met to discuss a wide range of issues from national security to climate change, to human trafficking, among others, at the meeting of the council of ministers of foreign affairs which was held on Tuesday. The summit was chaired by Minister of Foreign Affairs Wilfred Elrington as pro tem chair of the Central American Regional Integration System. However, on Wednesday, the President of Guatemala, Otto Perez Molina, arrived in Belize at the Belize Ocean Club in Placencia, where Belize handed over the pro-tem presidency of SICA to Guatemala. On Wednesday, police said they have arrested and charged Jose A. Santos, a 67 year old Salvadoran National, for the crimes of Murder upon Fernando Pineda Rivas and Heidi Teresita Chable. On Monday, we told you about the double murder that occurred in the village of Paraiso in the Corozal Duistrict. According to reports a man and a woman were found dead on a farm about 3/4 miles North East of Paraiso Village, at around 7:00 am on Sunday December 14th. Neighbours say that at around 6:00 am on the same day, screams could be heard coming from the direction of the farm. Only Monday, The Belize Tourism Board announced that Clive Myers had been appointed as Acting Director of Marketing and Industry Relations; a post left vacant when Alyssa Carnegie left for Oceana. The BTB boasted that Clive Myers holds a Master’s Degree in Project Management from Drexel University Online, among other local training. Well… what a difference 48 hours makes because at 4pm on Wednesday evening The Belize Tourism Board (BTB) sent out another Press release announcing that Mr. Clive Myers, “… has tendered his resignation with the organization, effective immediately.” It appears that Clive Myers is in the middle of allegations of Qualifications Fraud. Earlier, information about his educational records was photocopied and circulated to several media houses. Slowly but surely I am working through my blogs from 2014 and picking some of my favorite experiences. I’ve been one lucky duck…and done some amazing things around Belize this year. So here is Part Three and in case you missed it….Part One took me from Sanctuary Belize… …to May’s Chocolate Festival in Punta Gorda. 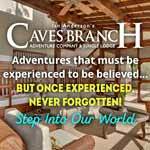 Part Two took me from June’s THREE Lobsterfests to cave tubing under the Maya Mountains in August. Today professional ball players around the world are quite famous and to many aficionados, adored. These ball players are the idols of the youth and for the older generations, iconic. This is the way it is today. Two thousand years ago, the story, to say the least, was almost the same. The home team players were revered, the opponents, well, they died! The games, because there were two ball courts, at Xunantunich (one of the most visited sites in the country of Belize) may have been exciting, emotional and to many devastating. The truth is however, that no one knows the rules of the game. All the fanfare today about the game, even the reenactment, comes from murals and paintings found on ceramic pieces and walls, which have been discovered by archaeologists. The murals and art of the ball game are embellished with men in gear. This gear covered their waists – stone and rubber yokes – which protected them from a heavy rubber ball, which weighed up to nine pounds. Their elbows and knees were also protected with rubber pads. At no time have the art and murals shown the ball being held in the hands or kicked with the feet, which was a smart move as there was no gear shown protecting the feet. We all have bucket list ideas about things to do and places to see before you die. If visiting Belize is one of them, I’d like to share the activities that are high on my list and I’d love to hear about yours. My list slightly changes as time passes since I add or remove some stuff. I first started making a checklist after I realized that even though Belize is small, there’s so much to explore. I knew that by jotting down these experiences and making it important to me, I would be able to push myself to accomplish them. And let’s face it, it feels amazing to accomplish things, especially things that you wouldn’t ordinarily do! This the 1/2 recipe of Belizean Powder (Poda) Buns. Instead of making them individually, I made them like a bar and cut them into serving size bars. You won't have to put your hand into a sticky dough if you don't want to. These are delicious and simple to make. The dead body of a popular Santa Elena DJ was found off a feeder road in Esperanza village. On Wednesday, December 10, 2014 at around 4:30 p.m. San Ignacio police were informed of the discovery of a dead man clad in only a t-shirt and boxers found off a feeder road in Esperanza Village. Upon arrival, the lifeless body of a male person was seen laying face up with what appeared to be cut wounds on the head with blood covering the face. The male person was on his knees in a bending position. Closer inspection led police to identify the male person as Samir Fernandez, 24, Belizean laborer of a San Pedro Street address in Santa Elena. While processing the scene, police discovered a short pants, a pair of black slippers, and a dark grey Samsung watch. Today, over 84, 000 grams of marijuana was found in the Shawville area in San Ignacio. On Monday, December 8, 2014 Special Branch personnel on routine patrol in the Shawville area of San Ignacio, came across four “El Quetzal” crocus sacks in the bushes. The sacks were searched and found to contain what appeared to be a green leafy substance consistent with that of marijuana. At the time of the discovery no one was in the area. The Government of Belize, through BELTRAIDE, is pleased to announce the completion of the sale of the island of Caye Chapel, on Monday 8 December, 2014. 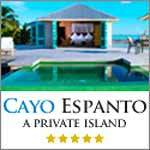 Caye Chapel, an island in the Belize District, consisting of 265 acres, was purchased by a leading Mexican luxury hotel development group. The group, who are owners and operators of luxury tourism developments in Mexico City, Cancun, and Acapulco, are currently working on a detailed development plan for the island for presentation to Government. It is expected that this plan will include the announcement of the partnership with a renowned global luxury hotel brand, to be announced in the near future, as well as the development of high-end residencies and other amenities. Scientists have created a chemical that can be added to food to make people feel full. Initial tests showed it helped people to eat less and slow weight gain. It harnessed the power of a proprionate, which naturally makes us feel full when it is produced by breaking down fibre in the gut. Writing in the journal Gut, the UK researchers said their chemical would have to be eaten regularly to have an effect. The ingredient is a foul-tasting soluble powder, but the team, from Imperial College London and the University of Glasgow, are trying to incorporate it into bread and fruit smoothies. The United Belize Advocacy Movement joints organizations around the World in celebrating Human Rights Day today December 10th. The day marks the United Nations General Assembly adoption and proclamation of the Universal Declaration of Human Rights in 1948 and was first formed in 1950, when the General Assembly invited all member states and other organizations to celebrate. The theme for 2014, "Human Rights 365", it is a reminder that everyone is entitled to basic rights. UniBAM calls on all organization on this day to continue to express the values and principles of human rights, to ensure its inclusiveness and impact to quality of life of all citizens as rights are indivisible and universal. Have you ever asked someone to give you an honest criticism? A very positive action on your part is to solicit criticism when appropriate. Ask for it, if you please. A sign of maturity is recognizing you don't know it all and you're open to learn more and to change, and you want to improve. Have you ever asked your boss for some honest feedback? Have you ever said, "I realize I need to improve in this area. Can you give me some good pointers on how to do that?" Soliciting appropriate criticism says a lot about you, and the response you receive is generally given in a positive way, much more palatable than unsolicited criticism. Instead of a criticism, it becomes a "critique." There's a perceived difference in a criticism and a critique. "There is therefore now no condemnation for those who are in Christ Jesus." Romans 8:1 (ESV) It happened suddenly and without warning. One minute I was sitting in a booth, laughing over a cup of coffee with my youngest son on his college campus (which just so happens to be my alma mater). The next minute, I'm driving away from my old college stomping grounds when the mere sight of a corner drugstore triggers a painful reminder of my past. It just so happened to be the same corner drugstore that one of my roommates and I ducked into late one night under a cloak of darkness to purchase a pregnancy test. She was late and had assumed the worst. It turned out it was negative, but it just as easily could have been me purchasing the test. Diphtheria is an upper respiratory tract illness caused by Corynebacterium diphtheriae, a facultative anaerobic, Gram-positive bacterium. It is characterized by sore throat, low fever, and an adherent membrane (a pseudomembrane) on the tonsils, pharynx, and/or nasal cavity. A milder form of diphtheria can be restricted to the skin. Less common consequences include myocarditis (about 20% of cases) and peripheral neuropathy (about 10% of cases). Diphtheria is an infectious disease spread by direct physical contact or breathing the aerosolized secretions of infected individuals. The second symposium on Finding Healthy / Safe Foods in the Cayo District will be held Saturday 13th December at the Maya Mountain Lodge’s conference facility. The November symposium focused on safe market produce. This month the focus is on processed boxed and canned foods as well as concerns about GMO. The January one will be on finding safe animal products. All symposiums follow the agenda pattern of Market place, consultation, and learning exchange. The symposium will run from 12-4 pm with the following schedule: 12-2pm Market place where you can connect and buy from providers of healthy foods. 2-3 pm Consultations on the results from the last symposium 3-4 pm Presentation followed by “learning exchange” by participants on dangers of processed foods. Brazilian police have arrested a man who has confessed to the killing of 42 people over the last decade in the city of Rio de Janeiro. Police say they arrested Sailson Jose das Gracas on Wednesday, shortly after he stabbed a woman to death in a city suburb. He then confessed to killing another 37 women, three men and a two-year-old girl. The police are searching for alleged victims and say they have found four. In a police interview broadcast on Brazil's TV Globo, the man said he would go out hunting, and he killed for the adrenaline. Each year the firm ranks 193 countries on the economic performance of their tourism industries and how well they’ve developed their brand strategies. The methodology factors in hard and soft data in an effort to show the correlation between tourism receipts and effective branding. Rankings are based on (1) economic performance measured in tourism receipts over the past five years; (2) total online search volume for tourism-related activities and attractions within each country; (3) how accurately a country’s brand strategy reflects what the country has to offer to tourists; and (4) digital content and social media performance. According to Bloom Consulting Country Brand Ranking © 2014 Tourism Edition, this year Belize has remained on the 7th position in the region of Central America followed by its main rivals Nicaragua (8th) and Guyana (9th). 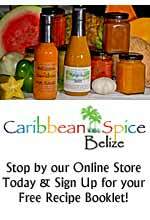 Belize ranks #30 in the Americas List. President Otto Pérez Molina and Prime Minister of Belize Dean Barrow acknowledged today the efforts to improve their relations in a meeting held before the 44th summit of the Central American Integration System (SICA). Perez Molina was welcomed this morning by Prime Minister Barrow in the local airport of this Caribbean city. Perez Molina and Barrow committed to strengthen cooperation, security, economic links and gradually respond to the settlement of the two countries' territorial dispute dating from 1859. Perez Molina showed satisfaction with bilateral relations and urged to continue looking for consensus for the comprehensive development of the citizens of the two nations. Also today, the Guatemalan government is scheduled to sign 14 bilateral agreements with Belize. World Heritage Centre is organizing a technical support mission to the Belize Barrier Reef System, property inscribed on the List of World Heritage in Danger since 2009. The mission is organized by the World Heritage Centre, in close coordination with the UNESCO Cluster Office in Kingston and the Government of Belize, and is aimed at assisting the State Party of Belize in its efforts to prepare a Desired State of Conservation for Removal of the Belize Barrier Reef from the List of World Heritage in Danger. The technical support mission will build on initiatives from UNESCO’s World Heritage marine programme to increase management effectiveness by using marine spatial planning as a key-tool in marine conservation. This Capacity building mission is financially supported by the Government of Flanders. Treaty Energy Corp., a New Orleans-based oil and gas exploration company, has made its way out of the frying pan and into the fire. Five officers and the company lawyer are facing criminal charges after Treaty employed unlawful tactics in a stock scheme that could leave the company in shambles. According to Jennifer Larino for the Times-Picayune, Treaty used fabricated information in its press releases to drive investor interest leading up to its public offering. The news releases flaunted false declarations of a successful well completion in Belize, a claim which was quickly followed by refutes from the Belize government. However, the company didn’t stop there. Treaty then proceeded to illicitly offer its stock to investors, using legal documents that had been knowingly forged by Samuel E. Whitley, the company’s Houston-based lawyer. The illegitimate operations gained Treaty $3.5 million in profits. The announcement of its first successful well in Belize came on January 30, 2012. Although the release is available through the San Pedro Sun, it has since been deleted from Treaty’s official website. The company purported that it had completed its San Juan #2 well in the Princess Concession, stating that the payzone could produce as many as five or six billion barrels of oil. As an established travel gateway to Latin America and the Caribbean, Houston is positioned to benefit from any potential easing of tourism restrictions in Cuba. "There's a lot of fascination with Cuba," said Michelle Weller, a travel agent with Travel Leaders in Houston. "It's human nature to want to explore that final frontier. ... If Cuba opens for American tourism, it's going to be great for Houston." Much is already in place to capitalize on any travel changes that might follow President Barack Obama's announcement Wednesday that put the U.S. a step closer to re-establishing ties with the island nation. In 2011, for example, Bush Intercontinental Airport was designated as one of the airports that could legally charter flights to Cuba. The first one took off in February 2012 with 80 passengers. Whether it’s spelled rumpopo or rum popo, Belize’s version of eggnog provides a sweet kick at Christmastime. The concoction typically includes eggs, evaporated and condensed milk, white rum, vanilla, nutmeg and cinnamon. Franchisor Re/Max LLC has sold franchise rights to the Caribbean and Central America, carving out a new region for the Dominican Republic in the process. Re/Max Caribbean and Central America is now owned by broker-owners John and Lucinda Turley of Belize, and Ricardo and Teresa Cardenas of El Salvador. Ricardo Cardenas bought one of the region’s first offices in 1995, and was recruited to work for Re/Max LLC in Denver five years later. As president for the region, he is credited with growing it from 500 sales associates in 2005 to more than 4,000 today. 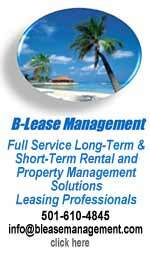 Turley has owned two successful brokerages in Belize, and was recognized as the No. 1 Re/Max global sales associate in 2013. The Aquaculture Stewardship Council (ASC) has welcomed more than one hundred certified farms into its certification programme in just over two years and has stressed that last year the number of farms in the programme doubled. In August 2012 Regal Springs' Toba and Kedung Ombo tilapia farms were the first globally to gain ASC certification. At the time, ASC only had operational standards for tilapia and pangasius. In 2013 the bivalve, abalone, salmon and trout standards were launched, followed by shrimp in 2014. By the end of 2013, there were 57 ASC certified farms. And, over the last year, the programme saw a 103 per cent growth - bringing the total number of farms in programme to 116. With a growing selection of ASC certified seafood available, consumers across 40 countries can now choose from almost 1,500 products. In the last year alone there was a 148 per cent increase in ASC approved products, from 602 at the end of November 2013. Representatives of more than 20 Navy and Marine Corps commands met Dec. 9-11 at Naval Station Mayport to plan for Southern Partnership Station-Joint High Speed Vessel (SPS-JHSV) 2015, a four-month deployment that will focus on subject-matter expert exchanges with partner nations. U.S. Naval Forces Southern Command (SOUTHCOM) hosted the main planning conference for the mission, which is scheduled to begin in June and include events in Belize, Colombia, Guatemala and Honduras - the same countries that participated in SPS-JHSV 2014. “We can build on what we did last year and pick up where we left off,” said Capt. Sam Hancock, the commodore of Destroyer Squadron 40, who commanded SPS-JHSV 2014 and whose deputy, Capt. Errin Armstrong, will lead next year’s deployment. In an indication of the importance of integrating Navy and Marine Corps operations, a Marine will be the deputy mission commander. The State of Qatar has joined the Central American Integration System (SICA) as an observer member from outside the region, during the preparatory convention for the SICA foreign ministers which kicked of in the Belizean town of Placencia on Tuesday. Qatar’s Ambassador to El Salvador Abdurrahman Mohamed al-Dosari and the Secretary-General of SICA Dr Victoria Marina Velasquez de Aviles signed the accession treaty, in the presence of all the ministers of the Organisation of Central American States. Belize’s Minister of Foreign Affairs Wilfred Elrington also signed the treaty as a witness. The SICA Secretary-General welcomed Qatar’s accession to the organisation and confirmed that this event is a key moment in the history of the organisation because of its positive impact in strengthening and consolidating the bonds of friendship and co-operation between Qatar and the organisation’s member-states. 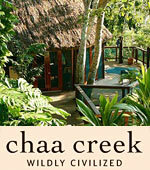 The Lodge at Chaa Creek - Green Globe Certified, 16min. Chaa Creek is fully committed to the implementation and utilisation of environmentally sound and sustainable Best Management Practices. All aspects of our operations and development adhere to these globally accepted methods. We were the first lodge in Belize to have been environmentally certified by the internationally recognized “Green Globe” program, and work within a memorandum of understanding with the Rainforest Alliance and their in-country counterpart, Program for Belize, to assist and promote tourism industry Best Management Practices throughout Belize. Upon arrival guests receive an orientation by our reception staff explaining Chaa Creek environmental policies as well as suggestions to encourage each guest to participate in our conservation efforts. Environmental awareness is then gently reinforced through written conservation messages in each guest room and through interaction with our staff throughout the stay, and our Natural History Centre houses numerous informative conservation exhibits and displays. We believe that by demonstrating our own environmental and social practices we assist guests in better understanding the many environmental, social and economic benefits that can be achieved when development is tempered with sensible environmental and social practices. Night Dive in Belize: Parrotfish Edition, 1/2min. Aquarium diver Sean Marden observed some interesting feeding behavior during a night dive in Belize. Snorkeling Sights in Belize, 7min. During a recent expedition to Belize, diver Sean Marden brought the underwater camera on an snorkeling excursion. Sit back and enjoy the sights on these shallow reef and seagrass beds. The Island Academy presents "Christmas Around the World. ", 1min. Family Protests Against KHMH, 5min. Belize zoo with Canan and Valerie, 3.5min.